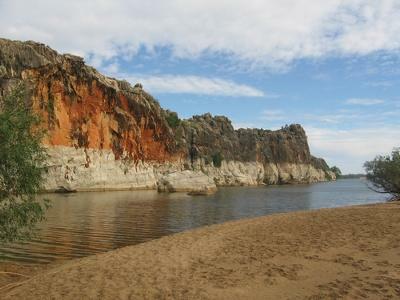 It took a fair bit of money and time to do the Geikie Gorge 2 hour boat trip from Broome but it was probably worth it to have the close-up view of the strange cliffs. The open-boat ride could have been done in one rather than two hours as there was a lot of hanging about on the water and repeated information. The guide is supposed to have a sense of humour but this one misinterpreted a joke amongst all the banter and became rude and put down one of the people in his care. This was not the right thing to do! There should be continuing instruction for guides on how to relate to those who depend upon them.